It’s 5am and the alarm has just gone off, all of us are pretty tired from the previous evening. 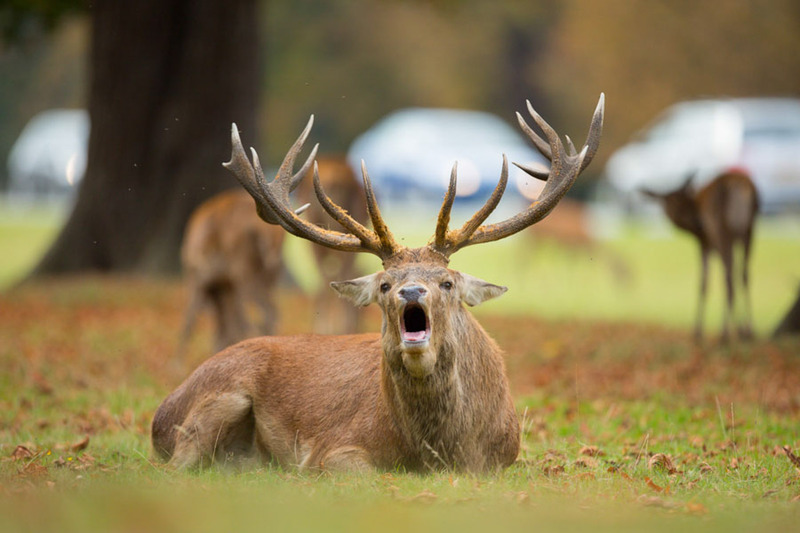 We have got up early in order to get down to one of London’s royal parks, Bushy Park. Coffee’s drunk and kit packed we set off in the darkness of an early autumnal morning in search of roaring stags. When we arrived at the park it was still pretty dark but we were encouraged by the roars in the distance. We got all set up and headed out into the park to find our first stag. We didn’t have to travel far from the car park before we had our eyes on him; he was huge and had a roar to scare any unwitting passerby. 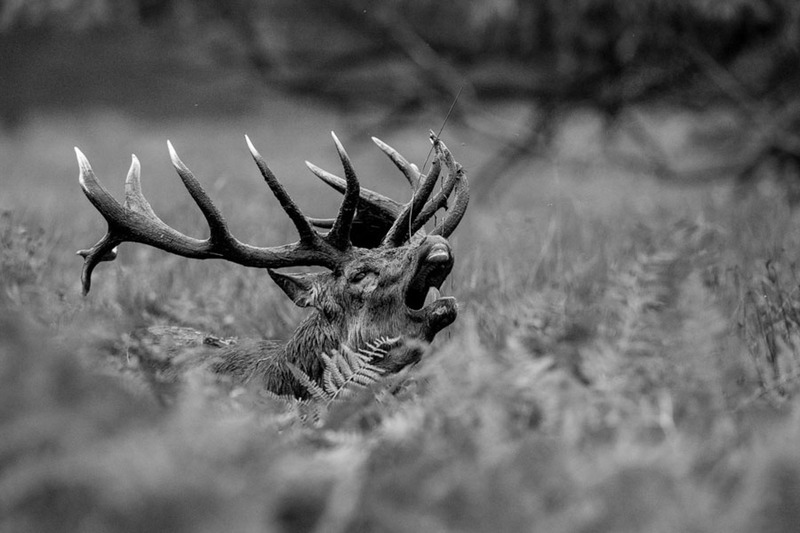 We spent quite some time with this particular stag and I managed to shoot quite a bit of film whilst he roared straight into the camera. It’s a crazy experience if you’ve never seen them roar before and he was attracting quite the attention. We then proceeded to follow him as he patrolled one of the lakes. He stopped for a while in a swampy area and thrashed his antlers back and forth in the mud. It was cool to watch the video back in slow-motion and see all the mud flying everywhere! As we had most of the morning still to shoot we left the stag and tried looking for some fallow deer. The fallow deer proved much more difficult to get close to and would often melt into the undergrowth as soon as we got near but we did manage a few shots before we lost sight of them. They had a somewhat surprised look in comparison to the red deer who looked like they owned the place. 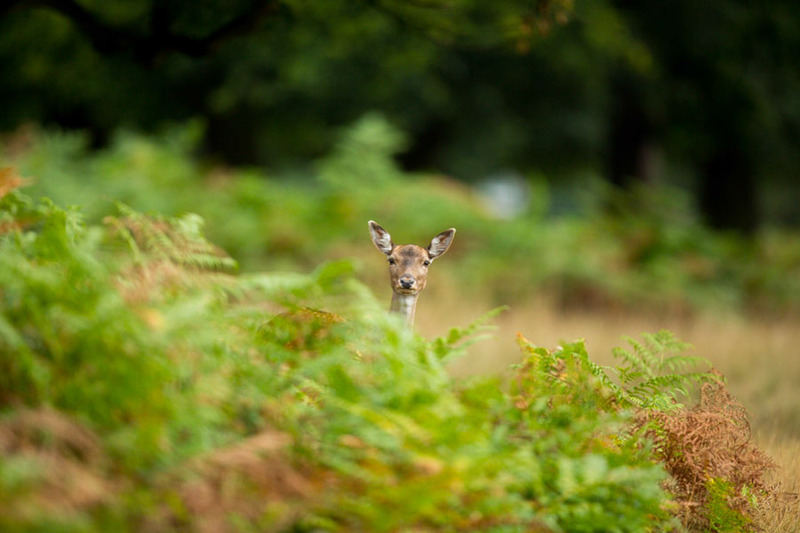 After we had tried our luck we thought we’d drive over to Richmond Park to see if we could get any different images. Unfortunately we had to turn back to Bushy as there was a bike race which prevented us from entering the gates. It was a bit disappointing but the disappointment didn’t last long as we soon found ourselves next to a confiding stag. 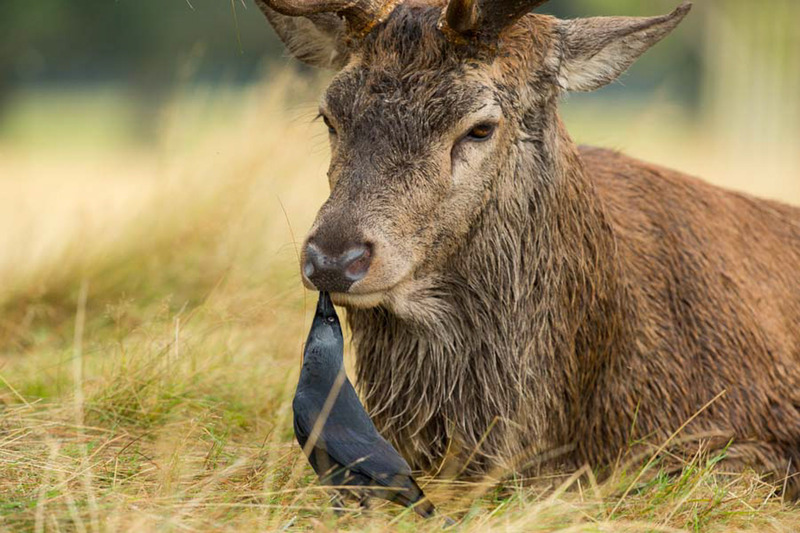 The stag seemed to be at ease with the safe distance we were away from him and allowed us to get some really cool close up shots, including images of the jackdaws preening him. 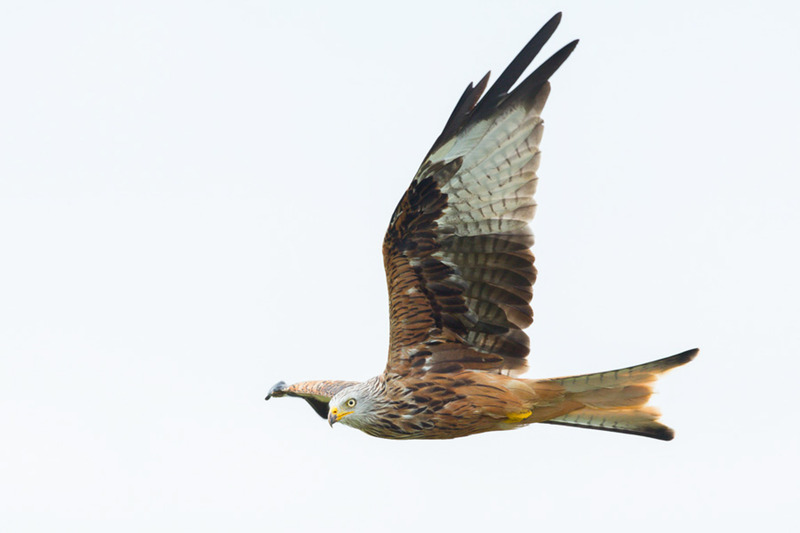 Having decided we had our fill of deer we head to Oxfordshire to photograph some Red Kites. I had never photographed them before so I was super exited at the thought of having the chance to photograph them. This excitement waned slightly when the first location proved very unsuccessful with the kites staying away. The second location was far better ! I was not feeling very hopeful as we had pretty much nothing from the first location. But boy was I wrong. The activity was slow to begin with and then the sky was filled with kites, it was an incredible sight. They were coming in from all directions and the guys were not joking when they said filming them would be difficult. They were like miniature stealth bombers coming in and how they avoiding crashing into each other I do not know. To finish this blog here my favourite image ! A big thank you to the guys for showing me around.